Zebra QL320plus direct thermal printers of the QL family offer the suitable variation of mobile printers for any need or operational area. The QL 320plus is a popular mobile printer for the sports and leisure industries as well as for trade, logistics and shipping. With its tremendous speed of over 100 mm per second, the QL 320plus is predestined to come into use anywhere where waiting periods have to be avoided. For vouchers, labels, tickets, etc. Besides the high speed, the QL family also excels with simple handling print media centered guidance and the sophisticated mechanics make exchanging a roll exchange easy. With only one hand movement you load new rolls or switch from voucher to label printing. The printer produces pin-sharp labels of a width of up to 79 mm and of a length of a maximum of 813 mm with 8 dots/mm 203 dpi. The wireless interface variations of Bluetooth or Wi-Fi ensure a future-compatible integration into already existing networks. 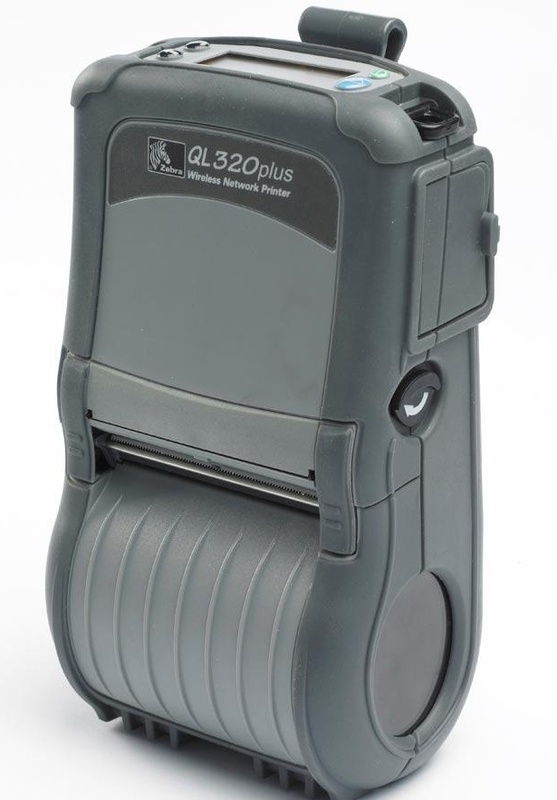 Carried by a shoulder belt or attached to a waist belt, the QL 320plus offers the user continuous access to the records.